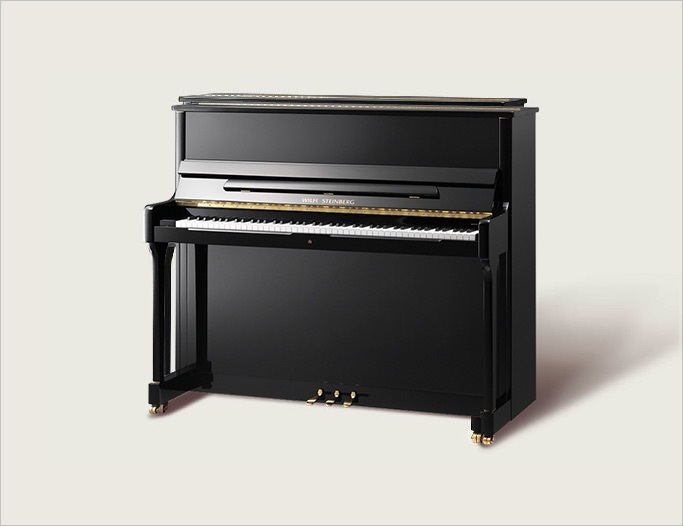 The Signature series of Wilh.Steinberg pianos are designed and handcrafted in their factory in Eisenberg, Germany. The Signature series was developed and introduced in 2015 following design improvements and optimisations. The finest materials are used by skilled craftsmen to produce instruments with an exhilarating sound quality and intense tonal properties. This is a very fine quality piano indeed, exceptionally well made with a strong individual character. There is a powerful bass, as you would expect of a piano of this size, and a lively, almost effervescent quality to the middle and treble. This is a piano that you feel wants to be played and as such responds beautifully, almost effortlessly to all styles of music making.